Has Howard put his underwhelming sophomore season behind him? Syracuse will begin its 2017-18 basketball campaign on Wednesday evening against Southern New Hampshire. Ahead of the game, here are three things to look out for. 1. How will Syracuse’s bigs protect the basket? Last season, Tyler Lydon and Taurean Thompson played the majority of minutes at center. This year, Syracuse has a pair of unproven commodities, Bourama Sidibe and Paschal Chukwu, who will now have to step into Lydon’s role. Chukwu suffered a torn retina in his right eye last year and was out for the season after Dec. 17. Sidibe is a true freshman that is listed at 205 pounds. 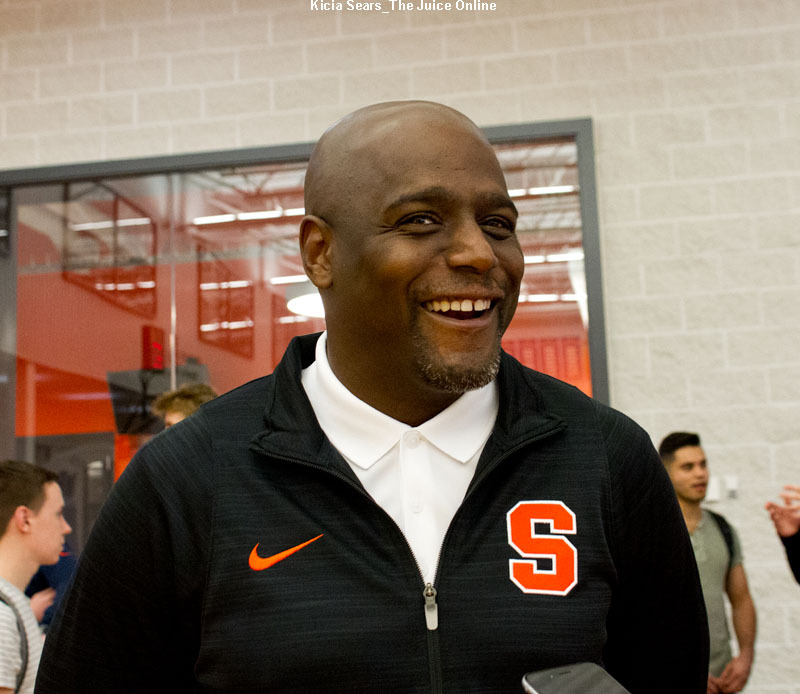 With Lydon now in the NBA and Thompson transferring to Seton Hall, Sidibe and Chukwu are SU’s only real options and will need to deliver on the defensive end of the floor for SU to have success. Wednesday will be a good opportunity to see them in tandem for the first time. 2. Has Frank Howard made the jump? 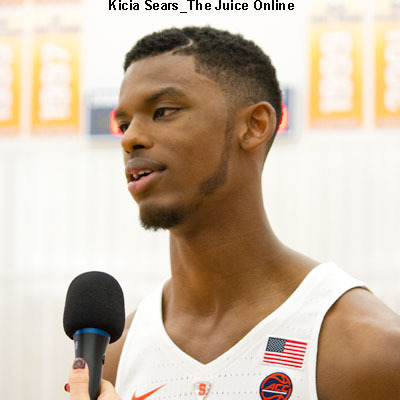 Howard began last season as SU’s starting point guard before ceding that role to John Gillon. He had an abdominal injury that played a factor in some of his woes, but his confidence took a hit, as well. With limited options behind Howard, perhaps he will have a longer leash and not be looking to the bench every time he makes a mistake. The early reports are that his shot his significantly improved, though there’s a difference between making them in practice and in a game. Wednesday should be a good barometer of where he is. 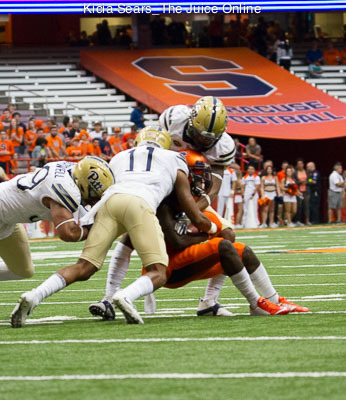 Battle emerged as one of SU’s top offensive options last season, and with Andrew White, Gillon and Lydon gone, Battle is Syracuse’s top returning offensive option. But Battle is no longer looked at as a third or fourth option. He’ll be at the top of the opposing team’s scouting report. There’s also an alpha mentality required to take (and make) more shots. Will the sophomore rise to the occasion?